“We LOVED Jenny! She was one of the best dance teachers we have ever had! Jenny knows how to make every dance lesson feel personal and genuine. She really tries to get to know you and your personality to tailor the lesson to your knowledge, style, and taste. In fact, we can guarantee you that you will be smiling the whole lesson and won't even realize the 45 minutes has gone by! Ally and I danced on our first date. For both of us it holds a special place in our heart. It was really important to us to choose the right dance instructor, and we couldn't have made a better choice. Our wedding ended up being a little unorthodox because it was completely flooded. It was a day where we had to abandon our shoes and roll up our pants, but it didn't matter. After all, it was the day we were starting the rest of our lives together. 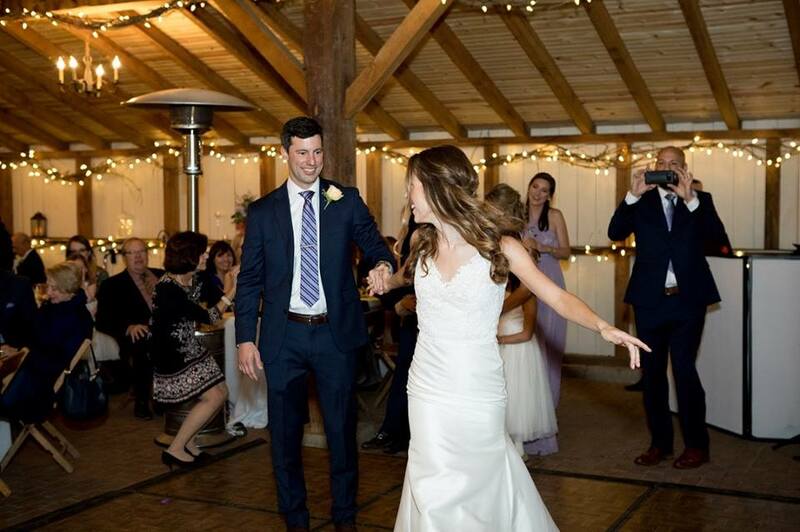 "Working with Jenny at Annapolis Social Dance exceeded our expectations. Jenny made us feel very comfortable right away, she is very personable. After sharing our first dance song, Jenny knew right away that she wanted to teach us a rumba. Our first dance was perfectly choreographed, we received so many compliments at our wedding. “My husband and I sought out Jenny after we got engaged. We wanted to put together a first dance, and also get some basic skills. Neither of us had ever taken lessons before, but Jenny made us feel comfortable from the start. She is a very knowledgeable and patient teacher. She even texted me a video of her and her friend doing our dance in her living room, the day before the wedding when I couldn’t remember some of the moves - what a lifesaver! 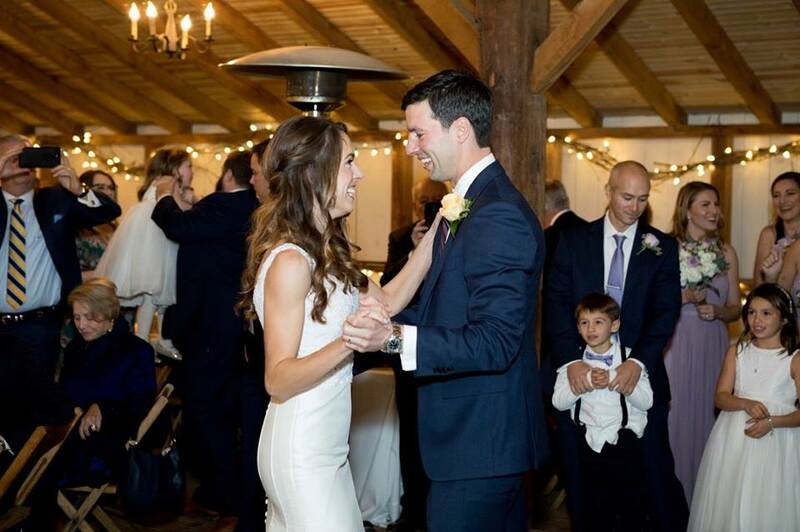 We had an amazing time dancing at our wedding, and the weeks of practicing in class beforehand were very enjoyable too. We always look forward to showing off our moves whenever we get the chance, now. 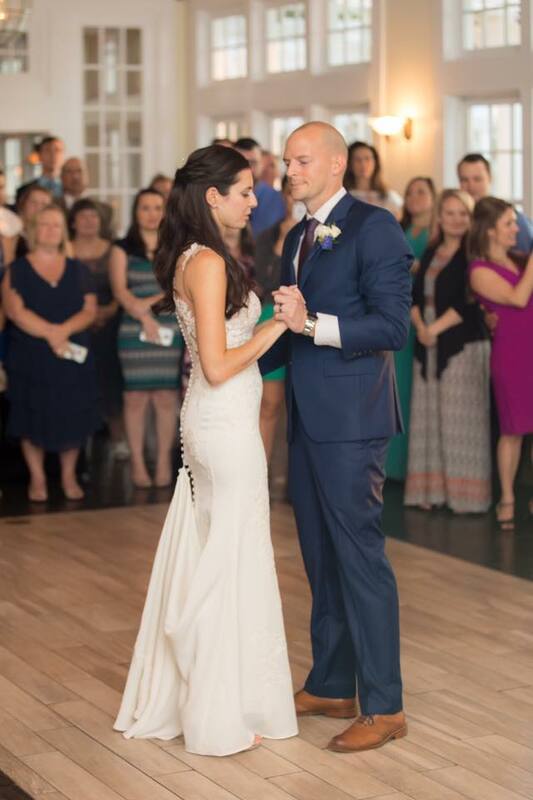 "Mike and I are so happy we found Annapolis Social Dance! Jenny is relatable, friendly, and took a genuine interest in getting to know us. She also was careful to keep things in our comfort zone, but also made us step outside of our 'dancing box' a time or two. 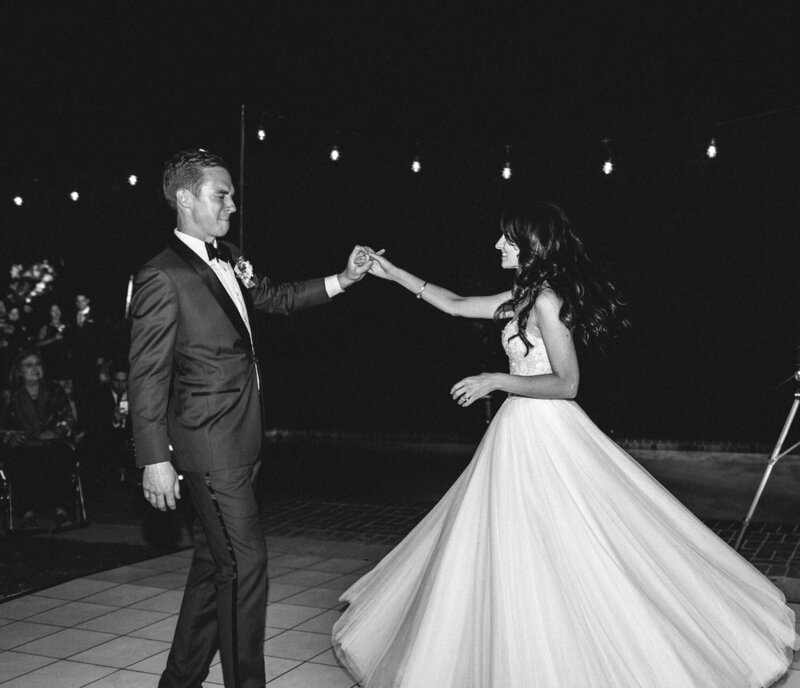 Our guests were wowed by some of the moves, including a dip to conclude the first dance. Looking back, this was one of the best decisions we made with respect to the wedding. 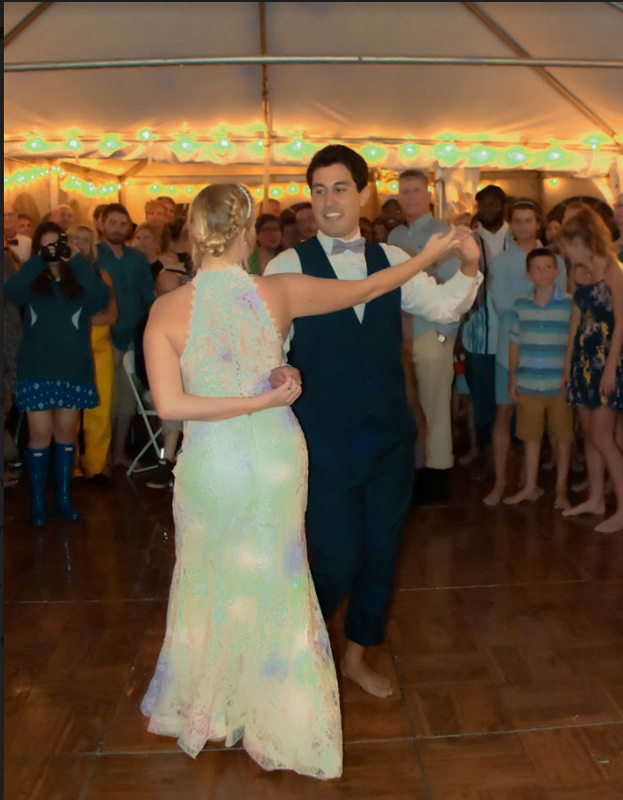 Not only did it allow us to be at ease going into our first dance, but it also allowed us to share quality time together during a very stressful time. 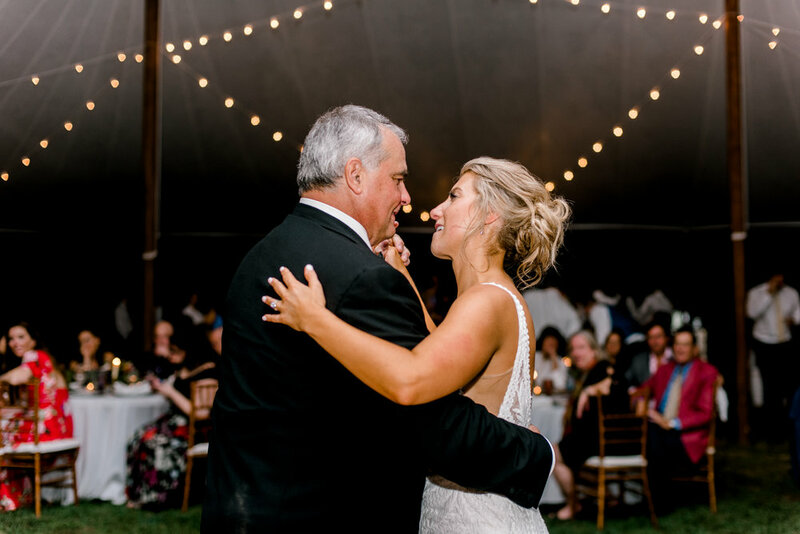 With Mike being out of state for the six months leading up to our wedding, Jenny was also accommodating and flexible with scheduling our dance lessons. "My husband and I have known Jenny since elementary school because we both happened to be in the same class as her younger brother. She has always been such an outgoing and easy to talk to person. 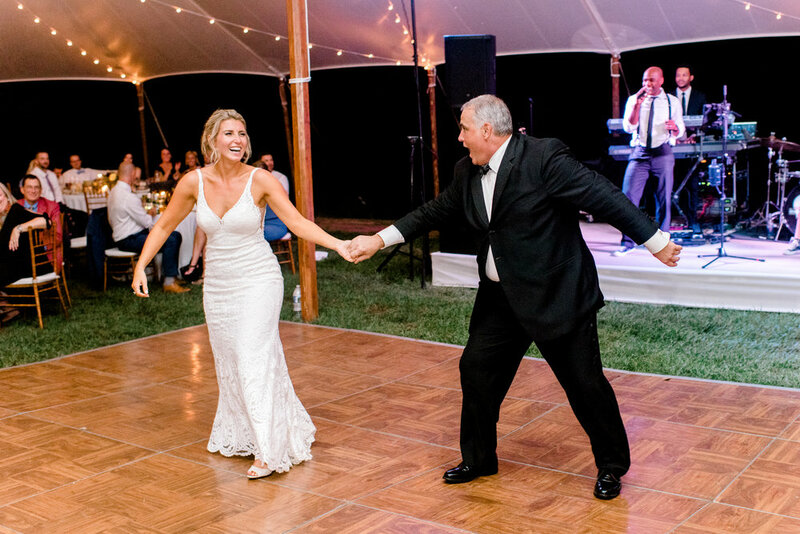 When my husband and I got engaged, we immediately thought of asking Jenny to help us with our first dance since we both had no idea what to do. We had seen how she had choreographed her brother's first dance (he is not a dancer by any means) and were so impressed by the result! We started about 7 months before our wedding date and she met with us once a week at my parent's house. She really knew how to start with the basics with us because we had no prior training at all! She was extremely patient and walked us through each step of our first dance. She even helped us think of a song!